Resilience is one of the skills needed in the today's ever-changing and challenging world. Perception is key to resilience: do you conceptualise an event as traumatic, or as a chance to learn and grow? 'No fear' when speaking in public: presenting at the Digital Leadership Forum in Vienna. In general, resilience is our ability to bounce back when things don’t go as planned. Some are set back by a failure, others perceive it as a lesson learned that drives them forward. I assume everybody would like to belong to the latter category, but how do we ensure that we acknowledge the situation, learn from mistakes and move on? Susan Kobasa, a leading psychologist, researched the relationship between stress and illness, and examined coping with stress. In the late 1970s she conducted a study on top executives and middle managers over the course of five years; as a result of it, she coined the term ‘hardy personality style’, demonstrating that certain personality traits lead to a better management of stress. She found out that these specific traits protected the managers from the effects of stress. failures as lessons learned, and as opportunities for growth. causes they care about, for example. to feeling lost, helpless, and powerless to take action. How we view adversity strongly affects how we succeed, and this is one of the most important reasons why having a resilient mindset is so important. Everybody is going to fail from time to time: it’s an integral part of our lives, we simply make mistakes. The only way to avoid this is never to run any risk or try something new. Imagine what existence that would lead to – who wants that! Instead, we should dream big and go after our dreams despite the possible, and very real, risk that we will fail at some point in time. Being resilient means that when we do fail, we pick ourselves up, learn the lessons we need to learn, and we move on to bigger and better things. In addition to the three basic traits, I believe there are two more that contribute to how resilient we are or aren’t: optimism and fear. Alan Loy McGinnis, author of The Power of Optimism, studied the biographies of over 1,000 famous people, and isolated 12 characteristics of the optimistic personality. Among these are: ‘Optimists look for partial solutions’ as waiting for the perfect one before acting may result in missed opportunities or even paralysis, so optimists are open to taking small steps towards achieving success; or, for example, ‘They believe to have an almost unlimited capacity for stretching’, which leads to constantly pushing, finding new ways, developing themselves, thus recognising their potential. Optimism, therefore, is also an important component of achievement, and is especially critical in times of chaos and change. It represents hope. Is optimism something we are born with? Some lucky individuals are naturally optimistic, others aren’t but as optimism is an attitude, it can be learned and practised. The same applies to fear of failure. However, we all may have different definitions of failure because we have different benchmarks, values, aspirations. Fear of failure (or defeat) is called ‘atychiphobia’ and happens when we allow that fear to stop us doing something that can move us forward. It can be linked to many causes; however, we can choose to perceive failure as ‘the end of the world’, or a learning experience. Failure stops us only if we let it. · Walt Disney was fired from the Kansas City Star because his editor felt he “lacked imagination and had no good ideas”. · Oprah Winfrey was publicly fired from her first television job as an anchor in Baltimore for getting “too emotionally invested in her stories”. · Theodor Seuss Geisel, better known as Dr. Seuss, had his first book rejected by 27 different publishers. Looking a bit closer to home, I’ve failed many times. In the-then communist Czechoslovakia, I was rejected four times from universities, and got accepted only after the Velvet Revolution (my fifth attempt). Or, I was always very nervous and afraid of speaking in public, with my voice trembling and stammering, but continuously sought opportunities to put myself to the test and overcome that fear. In time, I’ve become very confident in public speaking including at conferences where I regularly present to hundreds of attendees. In addition, I am not an eternal optimist – I’d rather think a bit negatively not to be disappointed in the end but always go for the challenge. I suppose I’ve found a way of approaching things that is cautious but doesn’t hinder me. This approach is perhaps linked to my Czech upbringing; after all, I knew only one expression when I was growing up: ‘a glass half empty’. However, I assume there’s a hope and strong will somewhere deep down in me which drives me forward. As I’ve mentioned, resilience is connected to perception and attitude. In words of the American inventor, Thomas Edison: “I have not failed. I’ve just found 10,000 ways that won’t work.” Imagine what would have happened if he didn’t think that way. Being resilient is a choice and you don’t have to be born with a resilient mindset – you can build it. Only by being resilient, we will be able to live our lives the way we’ve always imagined. 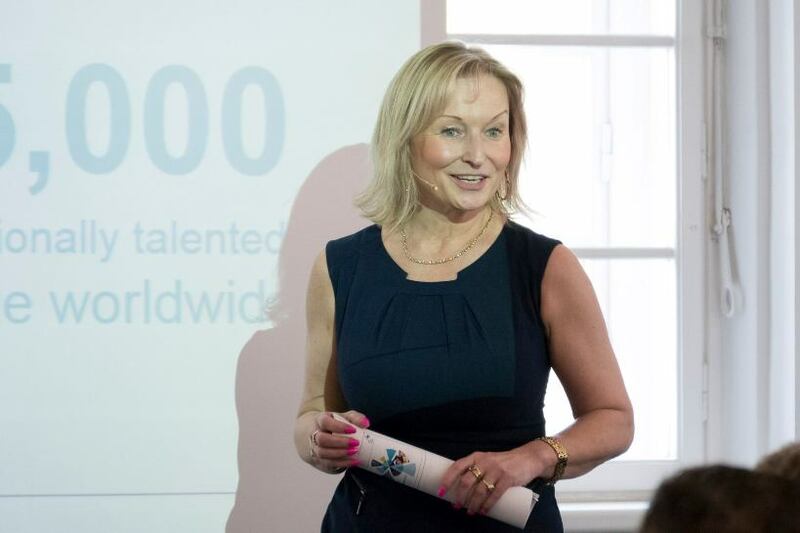 I am a PR, communications and marketing professional with over 19 years’ experience and proven success in delivering award-winning communications programmes for multinational companies operating in industries such as hospitality, retail, IT, defence, broadcast, logistics, engineering and others. Originally from the Czech Republic, I lived and worked in London for 11 years and curretly hold a position of Head of External Communication, Animal Health, at Boehringer Ingelheim, a large pharmaceutical organisation. Check my LinkedIn profile for more details.